Target creature gets +2/+2 until end of turn. If it's paired with a creature, that creature also gets +2/+2 until end of turn. 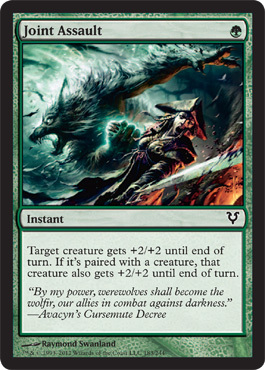 "By my power, werewolves shall become the wolfir, our allies in combat against darkness."